Over thirty years specializing in Russell Flint prints and paintings and widely regarded as the world's leading authority. Mr Tatham spent many months tracking a first class example down and had it shipped from abroad. It's authenticity and provenance were established and documented for me. Using museum quality glass, it was framed sympathetic to the subject and appropriate to my decor and then sent by courier. Throughout this process Mr Tatham has been very patient, helpful and knowledgeable. His high standard of professional service is essential when making an investment of this kind. One of the most celebrated British watercolourists of the 20th century, Russell Flint is known for his remarkable technical skill and precision. in a six year apprenticeship as a lithographic draughtsman. 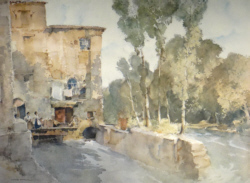 Although he is known for his watercolours he also painted in oil and tempera, and produced etchings. Russell Flint became president of the Royal Academy, and also president of the Royal Watercolour Society for twenty years from 1936. He was further recognised in 1947, with a knighthood for his services to art, and later a solo exhibition at the Royal Academy. Painting in several countries including France, Italy, Switzerland and Scotland, Russell Flint was captivated by the distinctive and unique character of the distant lands. to Russell Flint's picturesque gypsies and languorous nudes. 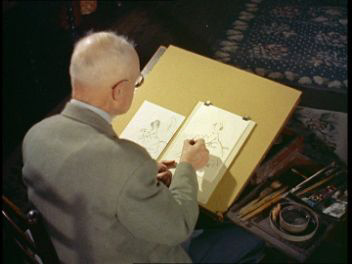 Today his work is exhibited in numerous institutions around the world including the British Museum, the Victoria and Albert Museum and the Art Institute of Chicago. 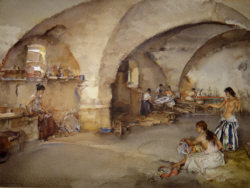 A leading authority of Sir William Russell Flint's work for over 30 years. Russell Flint P.R.A., P.R.W.S., R.S.W., R.O.I., R.E. 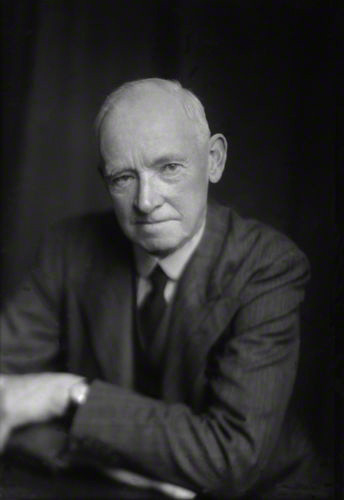 Sir Russell Flint, was born in Edinburgh 4th April, 1880. After the war, Russell Flint decided to visit Europe Europe, in particular France, where he painted and drew many landscapes of the quiet countryside villages and their rural way of life, the publications of his paintings illustrate much of his adventures in France. Russell Flint became an Associate member of the RA in 1924 and nine years after, was elected a full member. 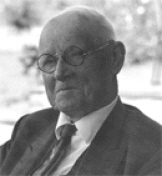 Russell Flint become the President of the RSWP in 1936. 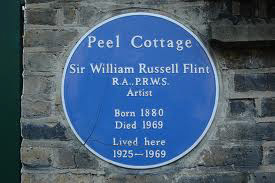 Throughout the early 1940s, Russell and his wife Flint lived on a turkey farm in Devon. As a previous officer of the RAF, he was permitted to enter Devonport Dockyard,(this painting was published, and described as a masterpiece of perspective) and paint, at will. The signed prints and original paintings, have become very collectable, and his paintings have a great following and are known as some of the finest watercolour paintings in the world today. During his student days at the Edinburgh Royal Institution Faculty of Artwork, and after working for six years at the lithographic printing company, he made the decision to live in London and work as an illustrator in the world of medicine, and then in 1903 he became an illustrator for the Illustrated London News which , due to worldwide distribution, publicised his work across the globe. In nineteen hundred and five Russell Flint married an admiral's daughter, Sibylle Sueter in 1905 and his work continued to flourish so that two years later he was able to become a freelance artist which gave him the opportunity to illustrate several classical special editions for example; Mallory's 'Morte D'Arthur', Chaucer's 'Canterbury Tales' and Homer's 'Odyssey'. During WW1 Flint's job was the Admiralty assistant overseer of Airships . He went back to his place of birth, Scotland, and some years later painted a watercolour titled ' Hilda's Bonnet' on a small piece of material from HM Airship 24 which he had commanded. 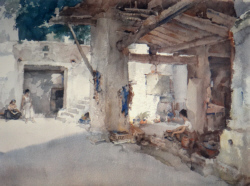 William Russell Flint was honoured with a knighthood; Sir William Russell Flint in nineteen forty seven, and fifteen years later his work was given supreme prominence by a retrospective exhibition in the Diploma Gallery of the RA. During this period, Charles Wheeler, who was the President of the Royal Academy, remarked that Russell Flint's art was an incredible feat and a 'baffling skill'. 500 prints, signed and unsigned; Also original Russell Flint watercolour paintings and red chalk drawings, for sale.